NEW YORK, Feb. 7, 2017 — BLACK ENTERPRISE, the premiere multimedia business resource for African Americans, continues its evolution as a powerful voice in tech, with the launch of its new web series/podcast BE The Code. An online series, the program will spotlight the most influential blacks in technology—from celebrities to financiers—and how they are reshaping the industry. This dynamic franchise will offer winning strategies and game-changing advice from Silicon Valley’s top innovators and rising stars. In keeping with this thrust, the first episode features Monique Woodard, a partner at the legendary accelerator, 500 Startups. Woodard shares tips on how to successfully pitch for VC financing. Upcoming episodes include interviews with Rodney Williams, CEO of LISNR and BE‚s 2016 TechConneXt Breakout Star of the Year, on raising capital outside of Silicon Valley, and Mike Brown, the CEO of Win-Win and former NFL player, who discusses transitioning from the league to tech entrepreneurship. BE The Code was created by BLACK ENTERPRISE Tech Editor, Sequoia Blodgett, who joins the BE technology team with a focus on Silicon Valley coverage; VP of Digital Shelly Jones Jennings; and Technology Editor Samara Lynn. „Video is one of the key areas BLACK ENTERPRISE Digital will focus on in 2017, to serve the needs of our millennial audience,” says Jones Jennings. 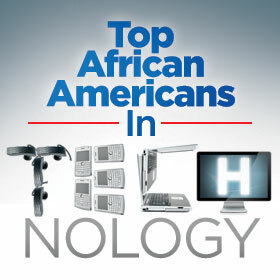 The series will be available online at BlackEnterprise.com, iTunes, as well as on social media. BE The Code is an extension of the BLACK ENTERPRISETechConneXt Summit; a hard-hitting, two-day Summit that brings together leaders from Silicon Valley and the surrounding tech ecosystems to exchange ideas and provide information about the professional and entrepreneurial opportunities that exist across all areas of technology. The Summit provides an opportunity for diverse innovators, developers, and creatives to collaboratively showcase the hottest technology in robotics, wearables, mobile applications, and cutting-edge technology solutions aimed at solving key business challenges and improving processes for everyday life. TechConneXt will take place Oct. 9–10, 2017, at the San Francisco Marriott Waterfront Hotel. For a full recap of the 2016 TechConneXt Summit, visit www.blackenterprise.com/techconnext and follow @BlackEnterpriseon Twitter.